Ever had a good idea for something and wished that you could make it? There’s a worldwide community of people who shared your wish, and then decided to do something about it. The ‘Makerspace’ movement aims to provide people with the facilities and skills to turn their ideas into real objects. Even though our Makerspace has only been open since January, we already have a rapidly growing community of people that enjoy making things. 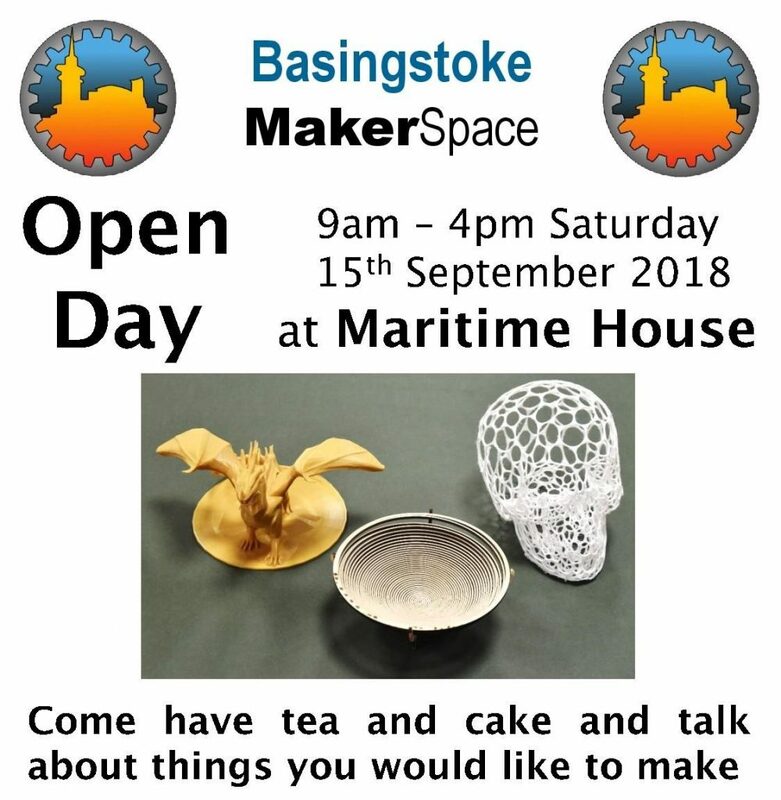 If you can’t make the open day, we also hold a free open social evening at the Makerspace every Tuesday at 7pm – 9pm, followed by a get-together with Basingstoke Friends later in the evening. You will find a warm welcome any Tuesday evening.